Everything is a process, but not all processes are equal. If you are a manufacturer, the creation of your product carries more strategic value than the procurement of milk for your employees’ coffee (even though we all need that coffee break!). 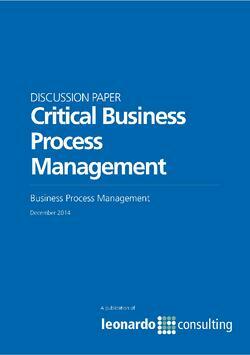 Along the same lines, it is important to identify which of your processes are the most critical – and this begs the question: what defines a critical business process in a company?